The exterior doors of your home are multi-functional: not only do they protect your family and property from weather and crime, but they also play a major role in the first impression of the house. 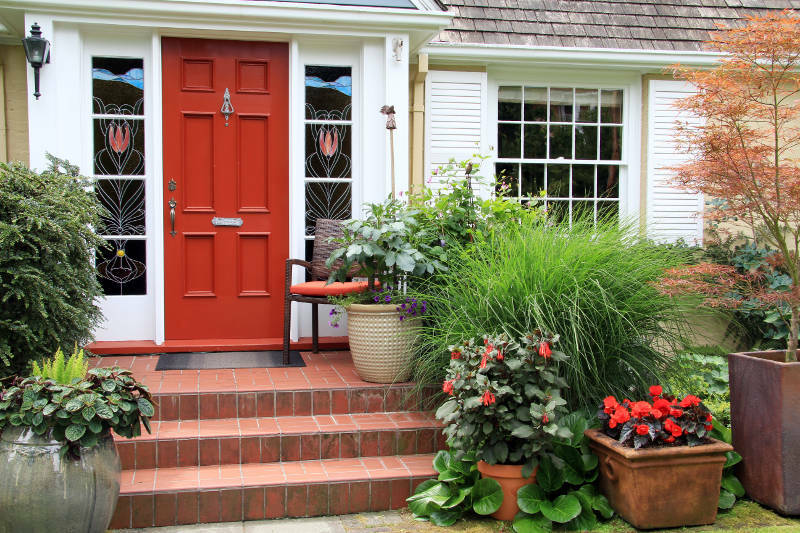 Replacing exterior doors is a popular project as homeowners seek to bring their home up to current trends while also considering safety, strength and durability. If this sounds like what you need, read on to learn all about exterior doors and how to select the best kind for your house. There are many different materials your door can be made from, including wood, fiberglass and steel. You may want to look at some doors in person, to get an idea of their weight and texture – not to mention color or wood grain options. Fiberglass doors are a gorgeous, highly customizable entry door option. There are many colors, finishes, hardware and decorative glass options available. Fiberglass construction has come a long way in the last decade and is now one of the most popular choices for doors, as they’re not only inexpensive, but they’re also durable and won’t become rotten and warped. Additionally, most models no longer have a fake plastic look, but can hardly be distinguished from real wood. The charm, warmth and beauty of a wood door is what all the other types attempt to mimic. They’re fairly durable, resistant to denting and can be repaired without too much trouble if they become scratched or cracked. A wooden door is also heavy and sturdy enough to hold up to constant use. That being said, a wooden door is way more expensive, and requires frequent repainting or a fresh coat of varnish to keep your home looking fresh and beautiful. Another possible drawback to a wooden exterior door is wood’s tendency to swell or warp with age and weather changes. This is a major problem for Quad Cities homeowners. A steel exterior doors are a good option if you’re looking for something that’s highly secure. They’re low maintenance and are a good choice for energy efficient materials. Much like fiberglass doors, steel doors are very low maintenance. You won’t have to paint or stain them and they’re resistant to moisture. That means they won’t warp or rot. If you’re replacing a back door or side door on your home, you may not be looking for something ornate and a standard door will do. However, if you’re replacing your front door and want your home to really stand out from the rest in quality and attractiveness, consider choosing a door with some extras. You can find a whole range of options for panel designs, patterns, textures, and lights. Some designs include attractive glass inserts in varying textures, allowing natural light inside and giving your house that custom-built look. Specialty add-on doors are extra sources of protection fitted over the existing exterior doors. A storm door is usually made with a large glass panel, which helps keep the exterior door safe and in good condition in inclement weather. Storm doors also come in half-glass, half-screen construction to let in fresh air. This could be a good add-on if you have a wooden door to protect from scratches, or expensive glass inserts. A screen door is a popular choice if you have a patio, or just enjoy allowing in fresh air without also allowing dust, leaves, or neighborhood pets. Security doors help keep your exterior doors tamper-resistant, with welded steel bars and hinges. What About a Glass Door? A glass door can be very tempting – imagine soft natural light and warmth filling your family room each day. You’d enjoy the view each day without also having to worry about bugs or rain getting inside. However, there are a few factors to consider before going this route. First, think about the privacy aspect. If you live on a busy street or have nosy neighbors, you may want more privacy than a glass door affords. Some homeowners would also be concerned with security, as an intruder could break the glass and enter. However, there are double-pane glass doors available which are more difficult to break, and will also provide an extra layer of insulation. Many places offer doors so it might seem overwhelming picking one. You could get one from a big box store but you’ll run into a lot of problems. You’ll have to install it yourself and you’re limited by styles. If they don’t have the size and color you’re looking for, too bad. The goal is to go with a company that offers the product and installation all in one. They ‘re familiar with their product and guarantee that it’ll look and function fantastically. How do you find a good exterior door company? Look for a company that’s been around for a while. Many fly-by-night companies come and go just to make a quick buck. The key is to find a company that has withstood the test of time and will be there for the longevity of your product. The mark you should set is a minimum of 10 years, but obviously, the long they’ve been around, the better. Feldco meets all of the criteria. We’ve been serving the Midwest for over 40 years and have help over 350,000 customers. Our premium steel and fiberglass doors come in many styles and colors, including wood grain finishes. Plus, we make sure to measure your opening so we know that the door fits properly. Once you’ve gotten the perfect exterior door, it’s installed by industry professionals who are factory trained and certified to ensure that there are no problems with your installation. 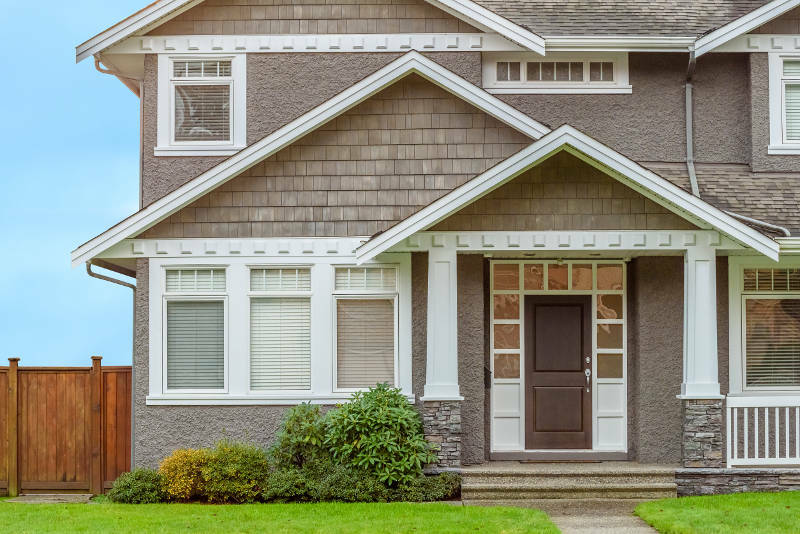 Now that you’ve learned all about exterior doors, you will confidently shop for one that meets your criteria for quality, attractiveness, and durability. Your door can make a powerful statement when you welcome a guest into your home – make it a good one! For Quad Cities homeowners, Feldco is your one stop shop for doors and installation. We’ll help you create your dream door and then will make sure that it’s installed quickly and efficiently. Need a new door? \ and we can get started on your project today.